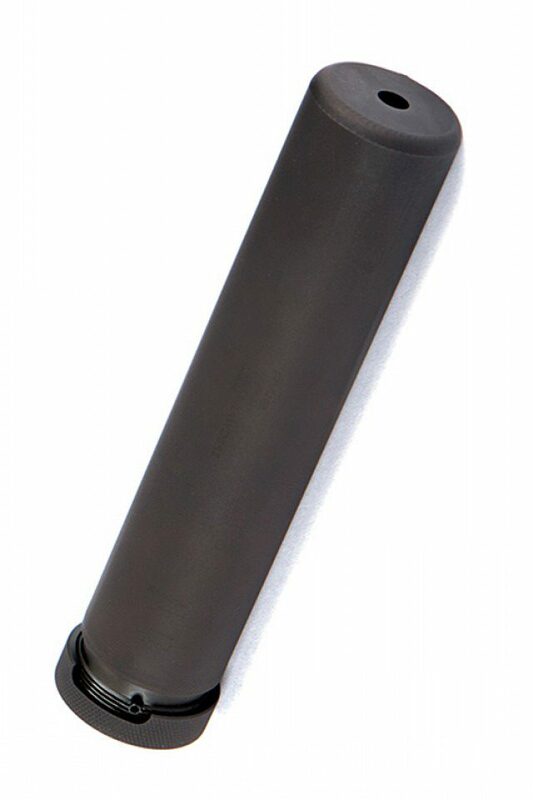 The Specwar™ is the most affordable full auto multi-caliber rifle silencer line we offer. Featuring patent-pending Active Spring Retention (ASR™) technology, the Specwar mounts to a proprietary flash hider or muzzle brake to facilitate solid, trouble-free lockup; installation and removal of the silencer takes seconds. Ease of use and an uncompromising dedication to toughness make the Specwar a top choice for sound suppression across multiple calibers. Even when undergoing full auto fire, the Specwar line performs to the highest level due to the Stellite™ baffle construction.